For each member that joins the organization, it is required that they fill out, complete, and notarize a membership registration form. 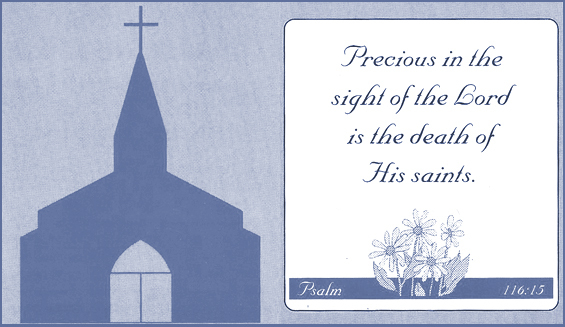 (There is one available for you to download, complete and mail in below.) 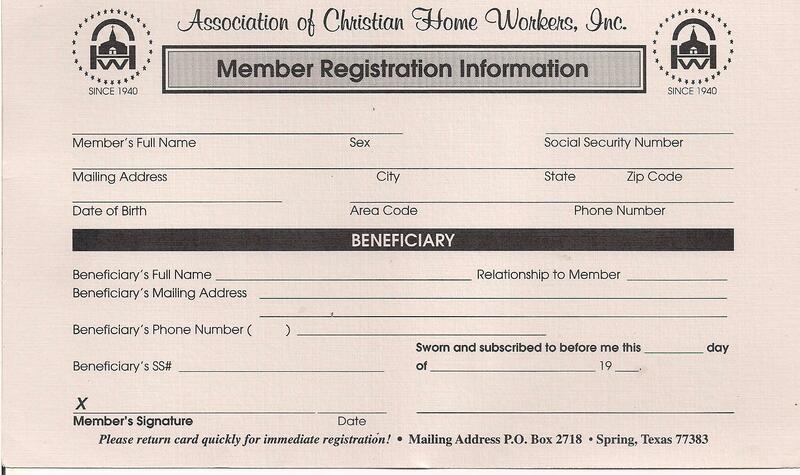 A Christian Home Worker representative will contact you promptly after receiving your registration form. All information must be completed, excluding your social security number (this info is only to be given to an authorized ACHW representative; this is for the organization's and beneficiaries' protection).